When the Peace is Gone is here!! October 6, 2016 / paglaspy / Comments Off on When the Peace is Gone is here!! The wait is over! 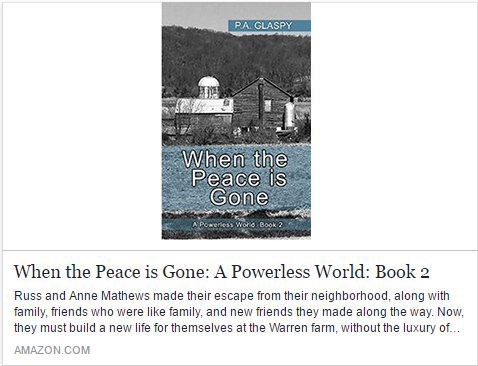 When the Peace is Gone, A Powerless World Book 2 is live! Get yours now! Where Will You Be When SHTF?